The first step to socializing your puppy is to get started right away. You do want to introduce them to new animals and people gradually, but if you’re not introducing them to new friends within the first few weeks, it only gets more and more difficult to get them started. For most puppies, the window of opportunity shuts at around 12-16 weeks, so four to five months in, if you haven’t begun socializing your pooch, they may become antisocial and reclusive, not to mention aggressive, inflexible and stubborn. 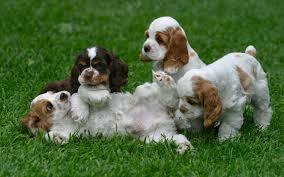 The most important thing is to accustom your pet to a social lifestyle. When at the vet, let them visit with other animals. Introduce them gradually to family and friends. Take them out in public and let them meet with people from all sorts of backgrounds. As funny as it sounds, some dogs grow up to be distrusting of older people simply because they’ve never met an elderly person. They may be distrusting of children just because all the people in their lives are twice that tall and half that energetic. Without neglecting safety, ensure that your puppy is exposed to a wide range of people and animals. If you have a shy pup, that’s okay, animals are like people, some are extroverts, some are introverts. Just make sure that you encourage them to do as much socializing as they’re comfortable with. Be there for them, pet them and talk to them as they meet new friends, make it easier for them to get to know other people, dogs, cats and other animals, and they’ll regard socializing as something fun, rather than something stressful. Researchers have finally learned why children who are exposed to a dog in the home in early infancy seem to have lower risks for developing allergies and asthma. Though many people would initially think that exposure to dogs isn’t good for a baby, but the changes that these pets cause within the community of microbes within the home makes the biggest difference. In short, when dogs are permitted indoors and outdoors, this changes the microbes that live within the environment. Studies indicate these changes, which occur within the gastrointestinal microbiome, work to reduce the reaction of the immune system on common types of allergies. The study was conducted by researchers from the Division of Gastroenterology at the UC San Francisco and the University of Michigan. What studies have provided is not only how this happens, but also the reason it happens. Studies indicate that there are specific bacterial species in the gut that help to provide protection to the airways against the viral respiratory infections and allergens many people are exposed to. What Does This Mean for Our Pet-Filled Homes? In short, doctors have known for a long time that children who grow up in a home with a pet or live on a farm, are less likely to experience complications such as allergies and asthma. Previously, many doctors believed that the hygiene hypothesis was true, which states that many homes have simply gotten too “clean” for the immune system to become exposed to enough bacteria and viruses to build up immunities. With new study, though, provides some new light on why dogs seem to be linked to this improvement. In short, the microbes that lived in the dust reshaped the community of living organisms living within mice (the initial study was conducted on mice.) The changes created helped the mice to fight off various types of allergen reactions. All of this comes from a single bacteria called Lactobacillu johnsonii, which is very common in areas where dogs live. In many ways, then, dogs are helping to contribute to a healthier lifestyle for humans, even through the use of the bacteria living within their guts. You may be living a vegetarian lifestyle and wonder if your pet can share in the same type of experience. The simple answer to whether or not dogs can be vegetarians is simply yes. Cats, too. The fact is that many animals can live as vegetarians even if their ancestors did not (about the same way that humans can) but you’ll need to ensure you feed your pet the right types of foods to ensure he or she gets the right level of nutrition, again, just like you need to do as a vegetarian yourself. The dog’s body does have the ability to transform amino acids into protein, something that is necessary if the pet was to avoid meat. There is no doubt that dogs and cats, too, need to have a good source of protein. And, since they can get that from amino acids, this means pets can avoid meat. On the other hand, it is important to consider the fact that not all dogs or cats should be vegetarians. And, it is very commonly believed that dogs and cats should not be vegans. If you plan to give your pet a grain or plant based diet overall, this may be okay if you take the time to ensure you are providing a very high quality diet. Giving them just anything will not do and the animal is unlikely to thrive. So, what if you want your pet to become a vegetarian? If you want to make the change, do it closely with a vet that specializes or at least agrees with the process. You’ll find that a well-balanced diet does require the use of quality foods and that nutrition needs to come from a variety of sources. There is no rule that says, though, that pets can’t be vegetarian if they are given quality nutrients. So, you’ve decided to adopt a furry new baby into your family. That’s wonderful. Whichever cat or dog you choose will be grateful that your heart was open to bringing them into your home and surrounding them with the love they’ve longed to receive. They have so much love to give in return, after all. Adopting a new four-legged friend will enrich both of your lives in many wonderful ways. All you have to do is choose the animal you know was meant for you. There are many ways to go about this, but the best by far is to adopt from an animal shelter. There you will find dozens of sweet dogs and cats who have ended up there through no fault of their own, and who would love to go home with you. If you’ve decided the animal shelter is how you want to find your new family member, here are the basics of shelter adoption. 1. Look online. There are a lot of websites out there that show you animals all over the country that are available for adoption from the nation’s shelters. The Shelter Pet Project is one. Pets.com is another. There are many more. You will often find photos and case histories of the animals on the websites. You may just find the perfect match for your family on your computer screen. 2. Visit your local shelters. If you don’t see an animal that seems perfect for you online, go look in person. Shelters receive new animals every day, and you never know when just looking into the eyes of a dog or cat in person will make you certain you’ve found “the one.” If you don’t see the perfect pet for you right away, keep looking online and visiting local shelters until you do. The pet that is meant for you will show up in no time. 3. Contact the shelter if you’ve found your pet online to make sure the animal is still available. If it is, make an appointment to go there and complete the adoption. If you’ve found your pet in person, start the adoption right there. 4. Fill out the appropriate paperwork each shelter requires to make sure you’re a good match for the pet. It works both ways, you know. 5. If the shelter determines you and your new furry bundle of joy are right for each other (and chances are they will), pay the shelter’s adoption fee and take your newest family member home. You’ll never regret it….and neither will your pet. Forming a strong bond with your new dog will take time, but you want to start the process on a positive paw, so to speak. A little preparation before bringing your dog home will go far in helping your pup makes the adjustment smoothly. Consider adopting when you have time to spend a few days with your new pet, which can ease the adjustment period. Be prepared for jealousy if you have other pets at home already. Meet with your family beforehand to designate doggie duties – who will walk, feed, and care for him? This is an opportune time to establish house rules pertaining to discipline and training of the dog, too. No wagon is necessary, but the right supplies certainly are. Beyond toys, a leash, and a collar, you’ll need food and water, which you should introduce your pet to right away – they’ll likely be thirsty after the stressful ride home! If you’re not sure what food the dog prefers, then get a couple of small bags to try out before investing too much. 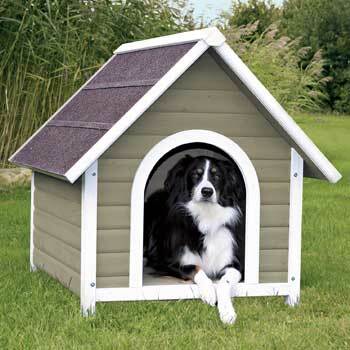 If you’re planning to crate your dog let him know where it is, and don’t be surprised if a shy dog primarily stays there for the first few days. Now, it’s possible that your new friend relieved himself before you came inside, but take time to introduce them to their official ‘potty zone.’ It’s not unusual for house trained dogs to have accidents when moving to a new home, so be patient with him and establish a set a routine for walks. Try to keep things around the house as quiet and calm as possible, especially if your dog seems intimidated or outright scared. Some dogs take to their new surroundings right away while others may take as long as two months to get comfortable. If your dog seems ready, introduce him to the art of playtime! Do take time to make an appointment with a veterinarian fairly quickly after bringing your dog home so you can have a checkup, get any necessary vaccinations, and purchase heartworm and flea treatments if you haven’t already. 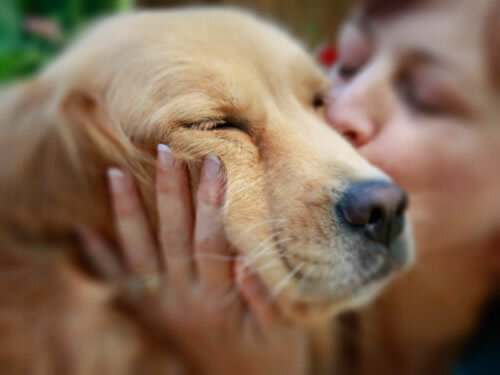 Most importantly, make your new dog feel loved by spending as many hours together as possible having fun and bonding. When deciding to bring a new cat into a household where there are children, it is a common thought to choose a kitten for a new pet. Unfortunately, this isn’t the best idea as kittens are fragile and easily injured when treated roughly through play with children. Also, a cat may not have the preferred temperament to deal with kids, but you wouldn’t be able to determine this when he or she is only a kitten. In order to give your child the best opportunity to have a strong and happy relationship with a cat, opt for an adult. 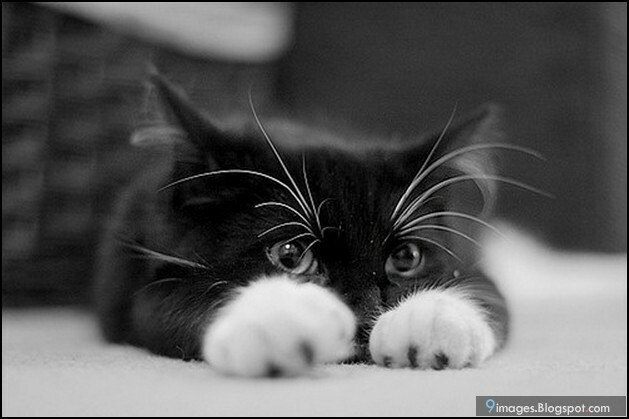 Look for a cat that is about 2 to 3 years old, which allows a pet owner to determine the type of personality of the cat. In order to make the home environment safe and happy for both cat and child, set some boundaries and rules for playing with the kitty. Start by giving the cat its own toys and chew things, as well as its own sleeping space. As your child wants to play with the cat, make sure they use the toys provided rather than their own toys or hands. This helps to ensure that the child won’t be injured accidentally through play, while teaching the cat about the boundaries of playing with people. Always supervise play time with your child and cat, particularly until your child is over 6 years old. 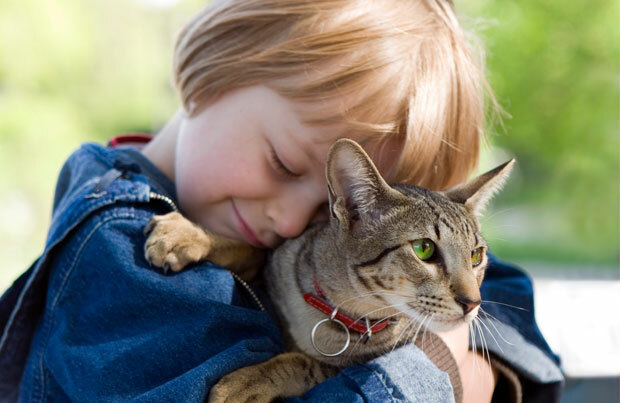 Teach your child the appropriate ways to handle the cat, such as never walking around while holding it and to stroke a cat in the direction in which its fur grows. By setting boundaries and giving some guidance for pet handling with a household with children, cats can become a great pet. I have given my Cocker Spaniel 2 capsules per day since last year and we have never seen another seizure. Amazing product. We have recommended this to other dog owners, with similar seizure cases. Question: instead of selling capsules why not sell the product in powder form with a measuring spoon. I separate your capsules now and add it to my dogs food. Sure would be a lot easier. 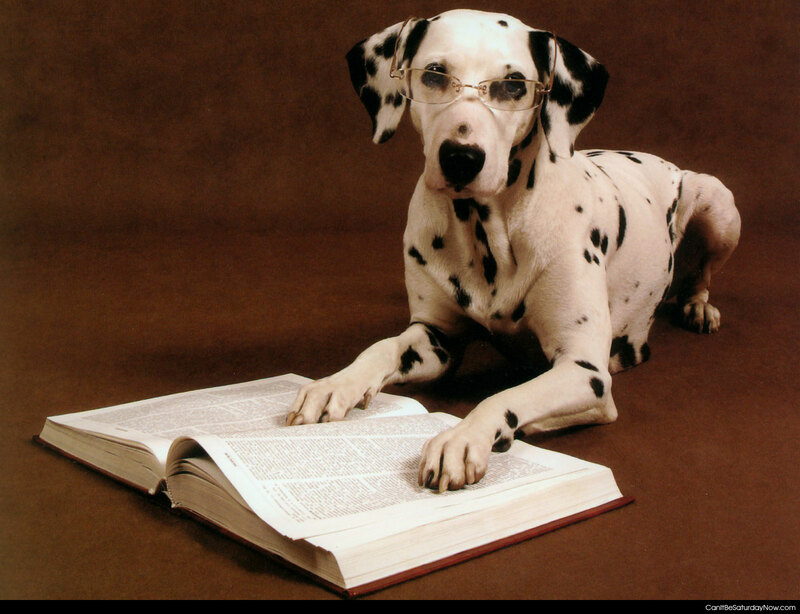 Canine intelligence comes in various forms. Some dog breeds are more advanced in areas than others, but some are more intelligent overall. Whether you own a dog and are interested if you chose one of the most intelligent breeds or plan to add a dog to your family here are the smartest dog breeds. Border collies have an astounding work ability and are very intelligent. This is displayed in their instinct in addition to their need to keep busy. This breed are not only intelligent but they are loyal, dependable and brave. Due to these positive attributes they are commonly used in the police force as well as the military. Poodles are not only exceptionally intelligent but they are a very active breed that is very easy to train. They have the ability to learn to hunt and guard. Poodles also love to be around people. This breed is very worthy of being categorized as one of the smartest. They learn commands quickly, have the ability to learn tricks, and prefer to have a job to do. In addition to intelligence, golden retrievers have a great temperament. They are loyal, patient, and great around children. The doberman pinscher is also a very smart breed of dog that is often used in the police and/or military. Aside from intelligence, they are loyal, assertive, and courageous. Overall, the smartest dog breeds include border collies, german shepherds, poodles, golden retrievers, and doberman pinschers. These five breeds are not only bright but are easy to train and have wonderful temperaments. All in all these breeds are supreme and will make a great companion to the right owner.